Transat has unveiled its new online hotel pages on Transat.com. 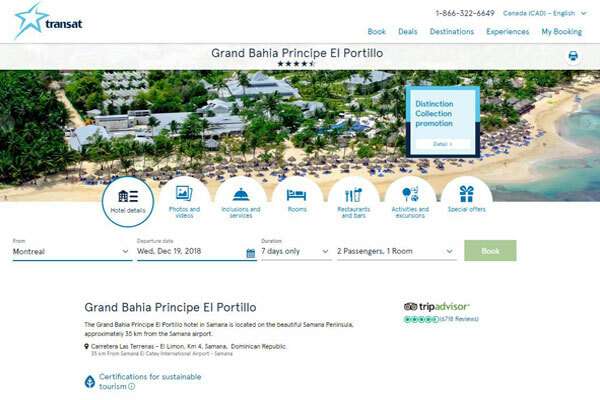 Officials say the pages are “simpler, more efficient and more user-friendly,” and serve as a complete source of information for travel agents looking to learn more about the different resorts offered. Users are now able to compare prices at a glance and see the main inclusions of the various room categories for a given date. If a room category is unavailable on a date, the information is clearly indicated. New features were added as well, such as the best rates per departure month and a button to print the page for future reference, a handy tool for agents.